More recently programmes have player information and might also have interviews with managers and players documented in them as well as information about the club. If you come across an old programme it may look like it is very expensive. However, it can be a worthwhile investment if it is to go up in value in the future. Fans can also be willing to pay a lot of money. For example a family form Ipswich sold a collection of football programmes that they came across in their home in 2012 for £46,000. When the oldest-known programme was auctioned off, which was from an FA cup final between Old Etonians and Blackburn Rovers in 1882, it made £30,000 when it was sold. A single sheet program from 1909 from a match between Manchester United and Bristol City sold in 2012 for £23,500. 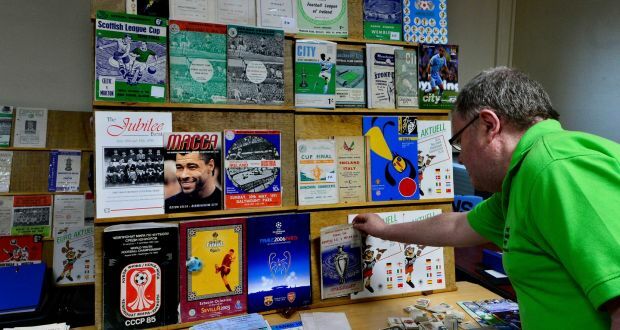 Although programmes are a part of the game for fans, you need to be able to identify whether they are collectable. The matched need to be significant, for example the first Webley final programme from 1923 between West Ham United and Bolton is worth £1,000 and the programme from the FA cup match between Arsenal and Cardiff City in 1927, which resulted in the only victory by an English team is worth £2,500. Cancelled game programmes can also be valuable such as the Manchester United vs Wolverhampton match which did not take place in 1958 due to the Munich air disaster which sells for around £10,000. This is because the rescheduled match had a new programme with the team page left blank. It is important to make sure that you buy the right programmes when you are investing in them. Look for older programmes remembering that those over fifty years old will be the most valuable. Any that are rare, due to only a small number being printed or that are in short supply with be worth more. More popular matched will raise more as will ones featuring more popular players. Condition is also really important, it should not be too scruffy, missing staples, dirty or folded, or it is then you will need the price to reflect that. It can be fun to just start collecting programmes form matches that you go to especially if it is a significant match. Popular teams are more valuable because more people are interested in them, but you may prefer to keep ones which feature your favourite teams even if they are not generally so popular. You can collect them as a hobby and then you might be able to make some money form it as well if you are lucky. However, if you want to make more serious money then it is wise to do more research into it to make sure that you are getting the right sort of programmes. If you want extra help then one place that you can go to for extra help and advice is the Football Programme Centre. Where The Trade Buys are based online and in the UK and are print experts and retailer. They specialise in promotional and office print services as well as offering pavement signs for businesses, too.